In our consultations with planners, civil engineers, and landscape architects we often talk about projects that are designed to enhance a visitor's experience with a sensitive natural environment such as a mangrove or wetland area. We hear the questions, "What if I am designing through a sensitive area?" or "I don't want to disturb the area - can this product be installed with top-down construction?" Meandering boardwalk designs through wetlands or sensitive preserve areas can allow an architect or engineer to provide pedestrians with an up close and personal connection to an area left in its natural state. Whether the project includes boardwalks through a wetland, marsh or mangrove area, a concrete boardwalk will provide an ecologically-friendly solution. There are several advantages a concrete boardwalk's installation can offer over conventional construction. 1. 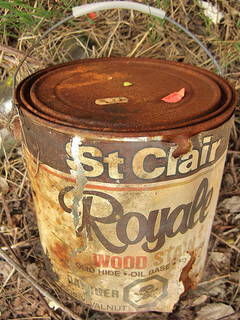 During a project's installation, no stains or sealants are required in an effort to prolong the life of the structure. Other products often recommend as a best practice to use these chemicals that can be potentially hazardous to a delicate natural environment. 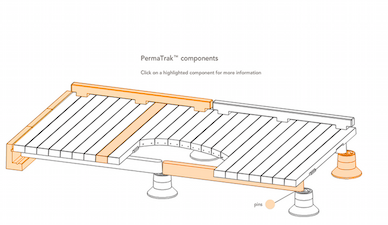 PermaTrak's system is produced with integrally colored, precast concrete components that will not leach into the wetlands, marsh or mangrove areas over time. 2. Top-down construction refers to the ability to install boardwalk treads and beams from equipment driven on previously installed treads and beams. This can often be accomplished without an engineer having to "bulk up" the boardwalk design to support a heavy piece of equipment. 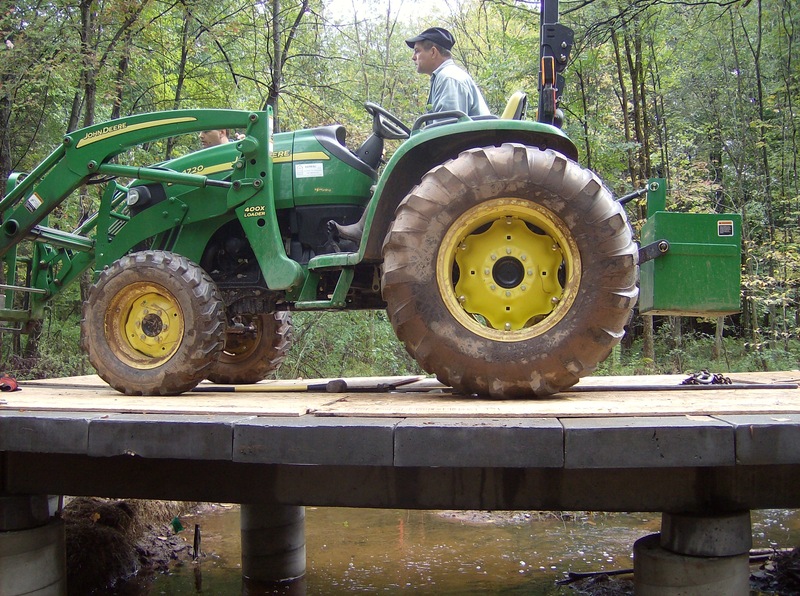 A timber or composite wood boardwalk can be designed to support heavier equipment for top-down construction, but not without bigger and bulkier load bearing components (beams, headers, stringers, etc.). 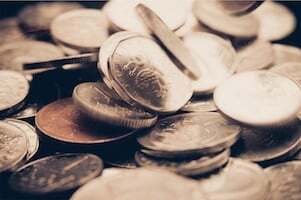 These extra steps typically result in a higher cost to the owner overall. Precast concrete's inherent strength and durability make it a naturally suitable material for top-down construction, without a significant difference in price. 3. The elimination of field cutting and leeching of preservative chemicals from sawed lumber is avoided as the engineering and layout work is performed before installation. 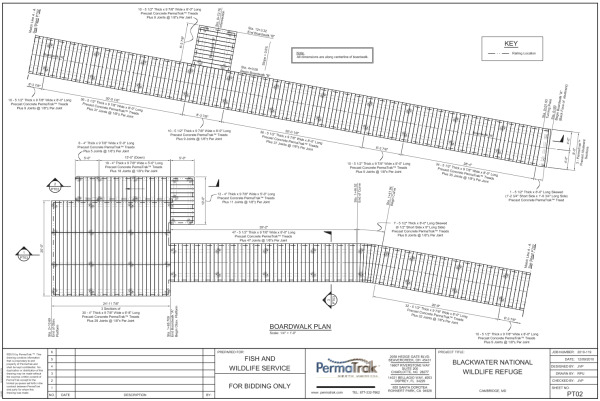 You can request sample engineering drawings here, included in our information packet. No one wants to hear a saw or see the dust flying all over a delicate project site!